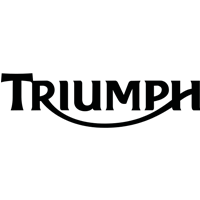 The Italian motorcycle manufacturer based in Noale belongs since 2004 to the Piaggio Group. Previously, the company was owned by the Beggio family. Alberto Beggio founded the company shortly after the Second World War in 1962, but specialized in bicycles. 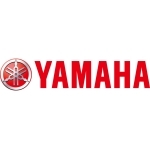 Only his son Ivano Beggio, who took over the company from 1968 to 2004, gave him the idea of ? 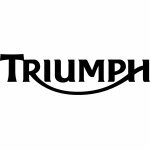 ?producing motorcycles and motorcycles. They first started with 50 cc two-wheelers called Colibri, Daniela and Packi. In early 1970, they introduced the first off-road model Scarabeo. The motocross was produced until the end of the 70s in 50 - 125 cm³ versions. 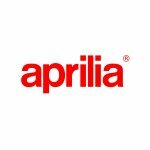 This was followed by a change in the company: Aprilia focused more on the development and could be all parts of suppliers manufacture. In the 80s followed more Enduro, trial and street motorcycles with 50 to 600 cc, as 81 the first trial model TL320, 83 the road model ST125 which was further developed to STX. In addition, the sale began for the Enduro model ET50. Through a cooperation with the Austrian engine manufacturer Rotex followed the models 125 STX, 350 STX, the road racer AF1 and the Tuareg with a large tank. In the early 90s, the offer was extended by a few scooters, such as the AMICO, the first scooter with a complete plastic body. In the New York Museum of Modern Art was the naked bike by designer Philippe Starck Moto 6.5. issued by 1995. In the same year, the Fima managed a brilliant cooperation agreement with BMW, which took over the production of the F650 singles. The 1000 cc V2 engine developed by Rotex was first used in 1998 in the Superbike RSV Mille and in modified form later in the models Falco, Caponord, RST 1000 Futura and Tuono. Thus, Aprilia jumped into the 'Big Bike' category. Aprilia was the first Italian manufacturer with a regulated catalyst in the big models and one of the first to build an efficient off-road ABS. In 2003, the successor of RSV Mille followed the RSV 1000, which is still Aprilia's most successful and iconic product. As once "MOTORCYCLE" headlined "The miracle from Noale". In 2004, Aprilia remembered your off-road roots, came with the RXV / SXV 4.5 / 5.5 on the market, which immediately won the Supermoto World Cup. In 2006, this series went into production. 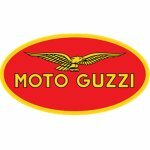 In order to become Europe's largest and most important brand, Ivano 2000 bought the famous but rather ailing traditional companies Moto Guzzi and Laverda. Unfortunately, he could not count on the collapse of the scooter market, whereupon he slipped into a life-threatening financial crisis and thus at the end of 2004 the company took over the Piaggio Group. After six years of abstinence for the 2009 season, Max Biaggi and Shin'ya Nakano returned to the Superbike World Championship with the new V4 super sports car RSV4 Factory. As required by the regulations, it is also produced and sold as a street version. In the following years, wide models came on the market, i.a. 2007, the mid-size motorcycles Shiver 750 and the Mana 850 with automatic transmission, 2008 in the spring the Supermoto Dorsoduro, an alternative to Ducati's Hypermotorad. In addition, model lines such as u.a. Caponord, Tuono and SX. For 2019, some new models are on the plan. The Aprilia RS 660 2019 parallel two-cylinder engine in the middle class. In addition, the RSV4 1100 Factory 2019 follows with lush 217 hp, which is made possible by a capacity increase to 1078 cc. The RSV4 range will also be enhanced with a new curve ABS. The model range of the naked bikes Tuono is extended with the V4 1100 RR 2019 and Factory 2019 with a semi-active electronic chassis. In the case of the Shiver 900 2019, the display in conjunction with the smartphone becomes a navigation device. -The total annual production in 2006 was 109,214 units. The first MotoGP title came in -1992: Alex Gramigni became world champion in the 125cc class. 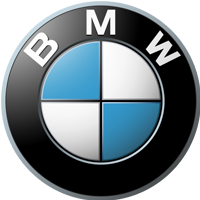 Today's Bayrische Motoren Werke Aktiengesellschaft (BMW AG) has its origins in Karl Rapp's company Rapp Motorenwerke GmbH in Munich. This specialized at the beginning on aircraft engines. The first managing director was from the founding of March 7, 1916 until 1942, Franz Josef Popp. The aspiring engineer Max Friz developed the first BMW motorcycle, the R 32, in 1923 with Martin Stolle. 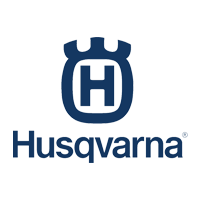 This laid the foundation for the motorcycles production line. It took about 5 weeks for the design. The basic principle has been preserved to this day: two-cylinder boxer engine and cardan drive in double tube frame. Two years later, the R 39 came on the market with vertical individual cylinders, also typical for BMW. During the Second World War, 1941 to 44 Wehrmachtsgespanne were specially developed and manufactured for the Wehrmacht. These include the super-heavy motorcycle team BMW R 75 team and Zündapp KS 750 team. Both models have a switchable sidecar drive and served with Einheitsprotzhaken as a tractor for light trailers (350kg) and light guns. From 1955, the era of the full swing BMW began with the R model series. Also, the cardan drive was changed so that the motorcycles do not tilt like others around the transverse axis during load changes, but completely raise or lower. Rubber boot is called this unique driving behavior. 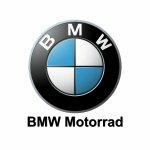 The R27, manufactured between 1960 and 1966, is the last single-cylinder four-stroke engine produced by BMW Motorrad and the latest model of single-cylinder BMWs with cardan drive. With the motorcycle also ended the market for this type of elaborately built motorcycles, as always cheaper cars on the one hand and sporty Japanese motorcycles for leisure on the other hand competed. BMW rose in 1969 with the R75 / 5 in the then largest displacement class, but the CB750 Four of Honda with four-cylinder engine led a development that made the entire European market fall behind. Even when BMW refilled the 1973 displacement with the R90 S, the Kawasaki Z1 with bucket tappets had set a benchmark last year. The engines from Japan were not only stronger, but also had to be maintained less frequently. After almost a decade, BMW put 1980 on the boom and it was followed by the first Enduro the R80 G / S. The first Enduro with multi-cylinder engine. From the need of the lush Kardanschwinge was waived on the second swing arm, as it was rather outlandish to use a motorcycle with multi-cylinder engine and shaft drive in the area. That changed, however, when BMW won the next Dakar Rally. BMW was back in motorcycling. With the K100 BMW 1983 produced a new motorcycle series. It installed a longitudinally installed water-cooled 2-valve four-cylinder in-line engine instead of the typical air-cooled boxer engine. As a result, there is no need for a deflection between crankshaft and propshaft. The cylinders lie horizontally to achieve as low a center of gravity as in boxer engines. This independent and consistent design is considered a remarkable achievement in the field of constancy. According to rumors or statements BMW would not bring motorcycles with a boxer engine on the market. In 1993, however, BMW brought the R 1100 RS onto the market for the account of its regular customers with a completely new boxer engine. Spectacular was the Telelever system, which for the first time in a production motorcycle, the subsidence during braking almost completely suppressed. In response to demand for a smaller entry-level motorcycle, BMW, in collaboration with the engine manufacturer Rotax and the Italian motorcycle manufacturer Aprilia, brought the F650 based on the Aprilia Pegaso with a single-cylinder engine from Rotax. The engines of the successor G650 manufactures the company Loncin. Antonio Ducati gründete 1926 in Bologna das Unternehmen. Seine drei Söhne halfen ihn ebenfalls in der Firma. Angefangen hat alles zunächst mit der Produktion von Bauteilen für Radios. Nach dem Ende des zweiten Weltkrieg 1946 begannen sie mit der Fertigung des Fahrradhilfsmotors Cucciolo. Die Cucciolo gilt als erstes ?Motorrad? von Ducati. Fabio Taglioni kam 1954 als Chefkonstrunkteur zu Ducati und sollte eine wichtige Rolle spielen. Der erste Entwurf die Gran Sport Marianna mit Viertaktmotor war mit einer obenliegenden Nockenwelle mit Königswellen-Antriebe ausgestattet. 1958 feierte das von Taglioni seit 1955 entwickelte desmodromische System seinen Triumph. Die Ducati Mark 3 D 1969 war jedoch erst das erste Serienmotorad der Welt mit dieser Technik. Der Prototyp Apollo von 1963 hatte erstmals einen 90°-V-Motor mit in Fahrtrichtung liegenden und stehenden Zylindern, wie es später typisch für Ducati-Motoren wurde. Ducati entwickelte vorrangig in den 60ern für den Auslandsmarkt vorgesehene Entwürfe, die erst zu einem späteren Zeitpunkt für den italienischen und den Weltmarkt umgebaut wurden. 1962 entstand so die Scrambler 250 für den amerikanischen Markt, welches viel positives Feedback einbrachte. Aufgrund dessen wagte 1972 Ducati mit dem Modell den Schritt in den italienischen Markt mit unglaublichem Erfolg, insbesondere was die ?desomodromische? 450er anbelangte. Die Antwort von Ducati auf die japanischen Maximotorräder waren Anfang der 1970er die 500GP und 750 GT die ersten Zweizylindermaschinen für Straße und Rennstrecke. Diese wurden von Ducati selbst als ?L-Twin? genannt, wegen der nach vorn geneigten Zylindern. Die Produktion der Einzylindermodelle wurde 1974 eingestellt, mit denen Ducati sowohl im Straßenrennen als auch Geländesport erfolgreich gewesen war. Die Ducati Pantah leitete 1977 die Ablösung der Königswellen zum Nockenwellenantrieb durch Zahnriemen ein. Claudio und Gianfranco Castiglioni kauften 1983 Ducati auf und wurde somit Teil der Gruppe Caviga. Diese beiden waren begeistere Motorrad- und Rennsportfans. Sie setzten sich mit dem Ingenieur Massimo Bordi zusammen, der 1988 die Ducati 851 vorstellte. Ein Superbike mit flüssigkeitsgekühltem Motor, vier Ventilen pro Zylinder und elektronischer Saugrohreinspritzung. Ducati dominierte schnell die Superbike-Rennklasse. Die Erfolgsserie wurde z.B. mit der 916, von 1994 mit neuem wunderschönen Motorraddesgin fortgesetzt. Das, bis heute als größter Verkaufserfolg geltende, Motorrad ist die von 1993 erschienende luftgekühlte Ducati Monster. 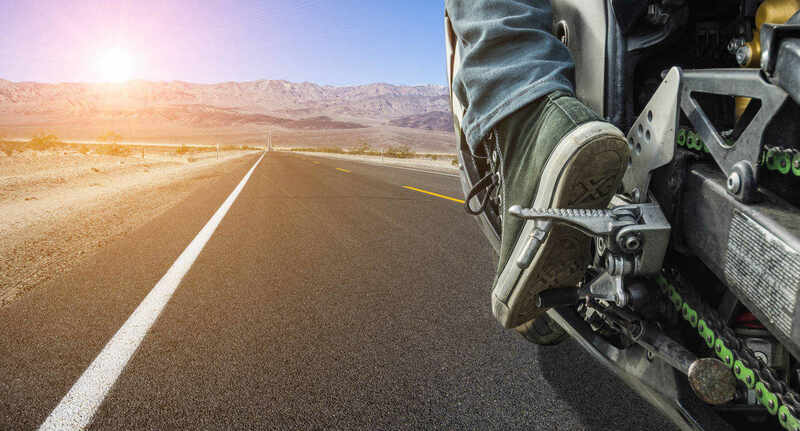 Das Erfolgsmodell ließ auf Grund steigender Stückzahlen die Marke in den Kreis der umsatzstarken europäischen Motorradhersteller aufrücken. Die Monsterreihe wurde später auch mit flüssigkeitsgekühlten Vierventil-Motoren angeboten. Dies rettete jedoch Cagiva nicht vor dem Verkauf. 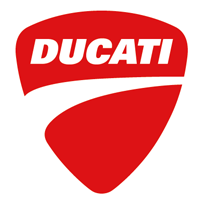 !996 wurden sie zahlungsunfähig und verkauften 51 Prozent von Ducati an die amerikansiche Texas Pacific Group, die 1998 die Marke ganz übernahm. Die neue Leitung nahm grundlegende Veränderungen vor, dank der sich Ducati zu einer der stärksten Marken auf dem Motorradpanorama entwickelte. Die Turn-Around-Ära erreichte am 24. März 1999 mit dem Börsengang der Ducati Motor Holding in New York und Mailand ihren Höhepunkt. Seit 2000 ist die MH900e auf dem Markt und das erste ausschließlich im Internet vertriebene Motorrad. 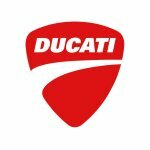 Ducati stärkte daraufhin seine Internetpräsenz und richtete Ducati.com ein. 2001 startete Ducati mit der Ducati Multistrada eine erfolgreiche Serie von Tourenmodellen, zuncähst mit luftgekühlten 2-Ventil-, später mit flüssigkeitsgekühlten 4-Ventil-Motoren. 2011 wurde einmal die Ducati 1199 Panigale ein völlig neu konstruiertes Modell vorgestell, das auf Grund von Leistung und Gewicht neue Maßstäbe im Sportmotorradbau setze. Eine Zusammenarbeit mit Mercedes-AMG brachte im September 2011 die Diavel AMG Specil Edition hervor. 2012 übernahm die Audi AG 100 Prozent der Anteile der Ducati Motor Holding und wurde somit auch in die Volkswagen-Group integriert. Die Zukunft von Ducati steht momentan in den Sternen. Es bleibt abzusehen was der Volksawagen-Chef Diess mit Ducati vorhat. Ein Verkauft ist zum aktuellen Zeitpunkt nicht wahrscheinlich aber eine Partnerschaft o.ä. Design, Konstuktion und Fertigung der Modelle erfolgen bis heute in Bologna. - Ducati verzeichnete bis 2015 einen Umsatz von 702 Mio. Das Motorrad des Teams ist die Ducati Desmosedici. Bis Ende 2009 war der Italiener Livio Suppo Teamchef. Seit 2014 bekleidet sein Landsmann Luigi Dall?Igna diese Position. In der Saison 2007 gewann der Australier Casey Stoner den Weltmeistertitel in der MotoGP-Klasse und sicherte dem Team, zusammen mit seinem Teamkollegen Loris Capirossi, die Titel in der Team- und in der Konstrukteurswertung. In der Saison 2010 gingen Casey Stoner sowie der US-Amerikaner Nicky Hayden in der MotoGP-Klasse an den Start. Zur Saison 2011 wechselte Casey Stoner zum Honda-Werksteam, dafür wurde der neunfache Weltmeister Valentino Rossi verpflichtet. Zusammen mit Nicky Hayden bildete er bis 2012 die Fahrerpaarung. Im Jahr 2013 wechselte Rossi wieder zu Yamaha und man verpflichtete den Tech-3 Yamaha Piloten Andrea Dovizioso. Für die Saison 2014 gab es erneut einen Wechsel. Nicky Hayden hat das Team in Richtung Aspar Racing Team verlassen. Für ihn wurde Cal Crutchlow geholt. Das Unternehmen wurde am 24. September 1948 von Soichiro Honda in Hamamatsu gegründet. Am Anfang wurden Motor zum Antrieb von Fahrrädern produziert, heute hat sich der japanische Konzern auf Motorräder, Automobile, Außenbordmotoren, Mikro-Kraft-Wärme-Kopplungs-Anlagen und Motorgeräte erweitert. 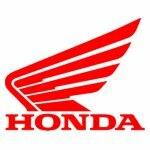 Honda ist einer der wenigen noch unabhängigen Motorradhersteller, die durchgehend erfolgreich war und bisher noch nicht fusionieren musste und somit die Unabhängigkeit beibehalten konnte. Nach dem Krieg war die Nachfrage nach motorisieren Fahrrädern groß. Die größte Herausforderung bestand darin der Nachfrage gerecht zu werden. 1949 bringt Honda das erste Motorrad die D-Type (D für Dream). Sie war der erste Viertakter, mit höchstgeschwindigkeit von bis zu 80 km/h. Bereits 1950 stammte jedes zweite Motorrad in Japan von Honda. Nach dem Leitsatz ?Think global, act local? kommt 1958 die Honda Super Cub (Cheap Urban Bike) auf den Markt. Ein bezahlbares Motorrad für den Weltmarkt, dass bis heute produziert wird. Die weiterentwickelte C 100 Super Cub ist das meist verkaufte Motorrad der Welt. Den Viertakter mit liegend angeordneten Zylindern wird auch in weiteren Maschinen wie der sportlichen SS 50 von 1968 oder den Mini-Bikes DAX ST und Monkey verbaut. Da sich Honda in den folgenden Jahren dem Rennsport widmet, folgen bald eine neue Modellpalette. Als erstes Straßenmotorrad mit zwei obenliegenden Nockenwellen sort 1965 die CB 450, der ?Black Bomber? genannt wird. 1968 setze Honda ebenfalls neue Maßstäbe mit der CB 750 Four, mit 67 PS und einem Reihenvierzylinermotor gibt sie maßgebliche Impulse für die weitere Entwicklung im Motorradbau. Weiterentwicklungen waren die Chopperversion CB 750 C für den US-Markt. 1971 folgt die CB 500 Four, 1972 die CB 350 Four. Als Enduro-Vorfahre gilt wahrscheinlich der von 1969 SL 350, die für Geländeeinsätze zugeschnitten war. Er einen 25 PS starken Zylinder verbaut auf 19-Zoll-Rädern. Ein weiterer Meilenstein war 1974 die GL 1000 Goldwing. Ein Reisemotorrad bei dem Komfort großgeschrieben wurde. Honda verbaute erstmals einen Vierzylinder-Boxermotor und eine Kardanwelle, der den Antrieb zum Hinterrad übernahm. Nachfolgermodelle waren die GL 1500 mit Sechszylindermotor und neu mit Tempomat und Radio. Die bis heute GL 1800 verfügt über ein Surround-Audio-System und Airbag. 1977 stellte Honda ein Motorrad für die Mittelklasse vor. Die CX 500, auch ?Güllepumpe?, mit längs eingebauten 80 Grad V-Zweizylinder, Vierventiltechnik und Kardanantrieb. Sie kommt wie die Goldwing mit Flüssigkühlung und Doppelbscheibenbremse aus. Nachfolgermodelle waren die CBX 1000, CX 500 C und CX 500 Euro. Das erste Superbike von Honda war 1978 die CB 900 F Bol d?Or, ebenfalls ein Reihenvierzylinder mit 95 PS. 1984 verbaut Honda bei den der VF 1000 F und deren supersportlicher Ableger VF 1000 R den V4-Motor, weil man mit ihenen schlankere, leichtere und leistungsfähigere Triebwerke realisieren lässt. In den 80ern werden die Großenduros im Angebot aufgenommen. 1987 komt die XL 600 V Transalp und ein Jahr später, die noch konsequenter für Fernreisen konzipierte XRV 650 Africa Twin. Beide Modelle sind mit flüssiggekühlten Dreiventil-V-Twin mit 52 Grad Zylinderwinkel motorisiert. Anfang der 90er bringt Honda ein Supersportler auf den Markt die CBR RR Fireblade, die vollgetankt nur 207 kg wiegt und 124 PS bei 10.500/min. Die Supersportler werden aber regelmäßig ca. alle zwei Jahre überarbeitet. Um Drehfreudigkeit und Durchzugsstärke optimal zu kombinieren, entwickelt Honda die variable Ventilsteuerung VTEC (Variable Valve Timing and Lift Electronic Control). Sowohl in der von 1999 CB 400 Super Four und ab 2002 in der VFR 800 zu finden. Die 2000er werdenmit einem Powercruiser , der VTX 1800, die 97 PS bei nur 5000/min aus einem mächtigen V-Twin schöpft. Sicherheit wird bei Honda auch großgeschrieben. 2006 die Gold Wing mit Airbag. Seid 2010 verfügt ein Motorrad die VFR1200F erstmals ein Serienmotorrad über ein Doppelkupplungsgetriebe, das die Leistung und Effizienz des Motors optimal nutzt. - Im Jahr 2013 verkaufte Honda 16.800.000 Motorräder weltweit (+8,7% im Vergleich zu 2012). 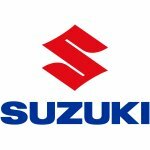 - Der Honda Super Cub ist das am meisten produzierte Fahrzeug in der Geschichte. Bis März 2014 wurde es 87 Millionen Mal in mehr als 160 Ländern verkauft. - Seit der Einführung des einzigartigen Doppelkupplungsgetriebes im Jahr 2010 hat Honda 30.000 Motorräder mit DCT verkauft. - Honda hat eine unvergleichliche Erfolgsbilanz im Motorrad-Rennsport: 21 Konstrukteurs-Titel in der Königsklasse (als MotoGP bekannt), 63 Konstrukteurs-Meisterschaften und 697 Rennsiege in allen Kategorien in der Königsklasse. - Der 21jährige MotoGP-Champion von 2014, der Spanier Marc Marquez, stellte mit 13 Einzelsiegen in einer Saison einen neuen Rekord auf. Wir haben qualitativ hochwertige Motorrad Gebrauchtteile für fast jeden Hersteller! Egal ob du auf der Suche nach preiswerten Ersatzteilen für deinen Chopper, dein Rennmotorrad, Young- oder Oldtimer bist bei MTH wirst du sicherlich fündig. Alle Gebrauchtteile werden von unseren Mechanikern demontiert, gereinigt und geprüft. Unser Schwerpunkt liegt bei Klassikern ab den 70er Jahren. Wir decken die gefragtesten Modelle der 70er, 80er, 90er und 00er Jahre für euch ab und versorgen euch mit Ersatzteilen für Motorräder die es nicht mehr neu zu erwerben gibt. Auf 500 qm Lagern bei uns über 40.000 Teile für dein BMW Boxermotorrad, dein KTM Crossmotorrad, dein Yamaha Café Racer Projekt oder dein geliebtes Sammlerstück. Hast du ein Motorrad zum Verkauf dann zögere nicht sondern kontaktier uns am besten direkt per Email mit aussagekräftigen Bildern und deiner Preisvorstellung.